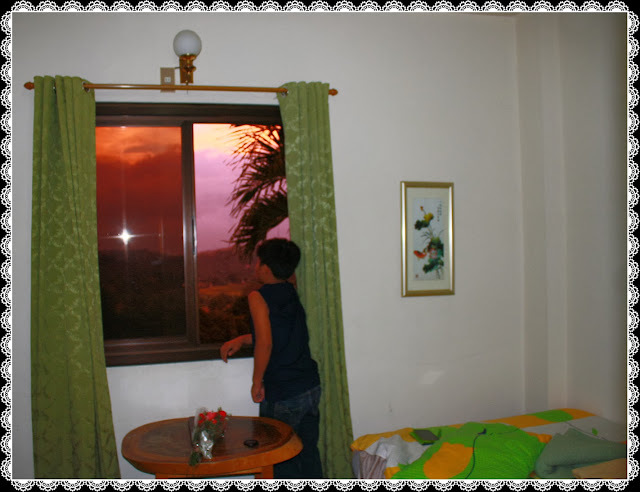 That was my son Roel looking out at the sky turning into pink at dusk at Monte Del Rosario Springs where our family celebrated our 12th wedding anniversary and the first hours of my 38th birthday. Having a hubby whose job is protecting people isn't easy. We have to adjust family celebrations and even holidays and most of the time go to wherever he is assigned just to spend special occasions together. What matters is wherever we are for as long as we are together, we are HAPPY as HAPPY can be! 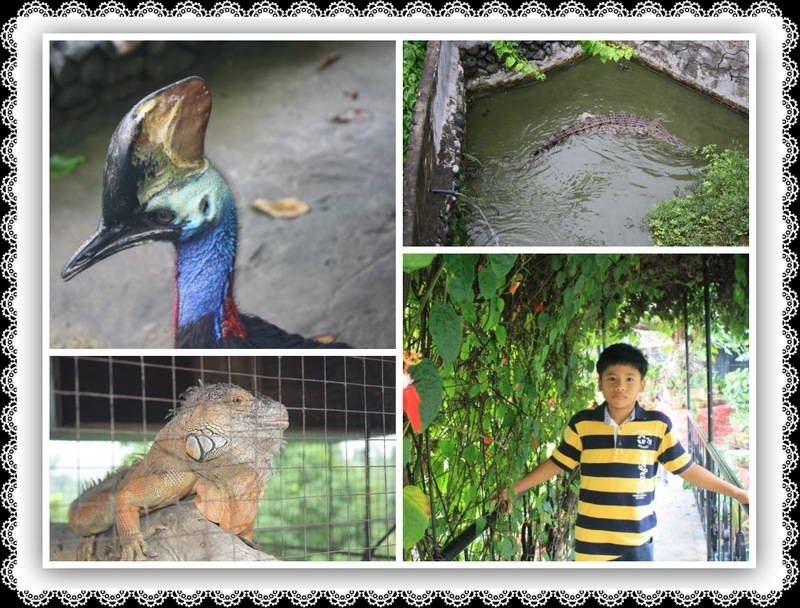 This year, he surprised me and the kids with a trip to Monte Del Rosario Springs! 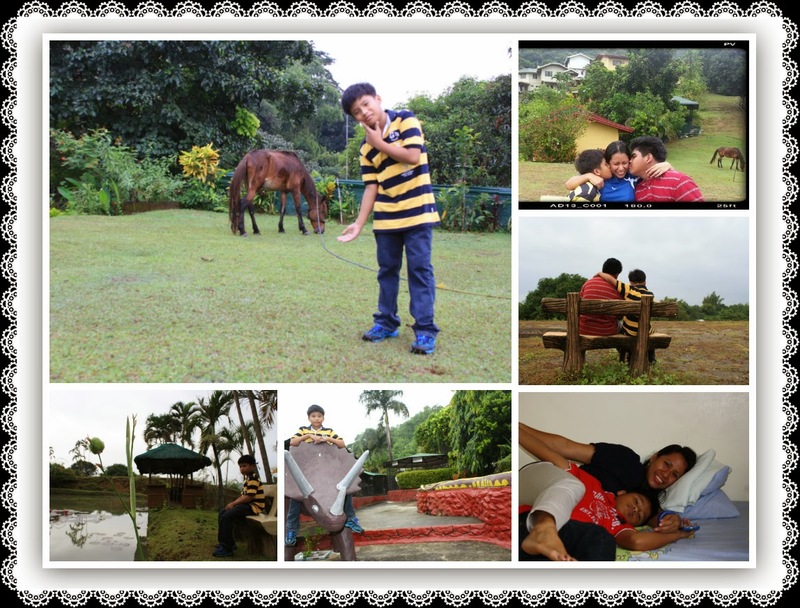 It is a mountain resort and youth camp with a magnificent view of lush greenery! 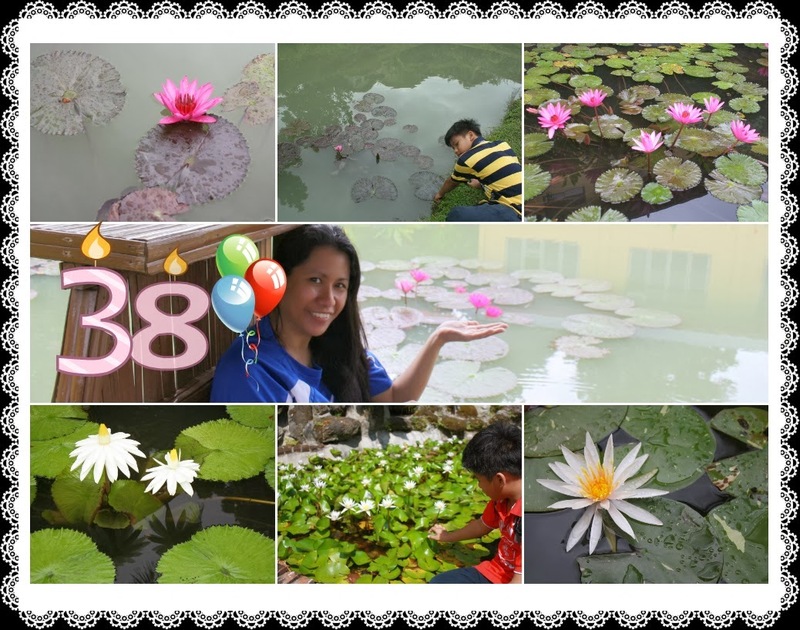 With the opulence of lotus ponds here, one would really think it is almost paradise! 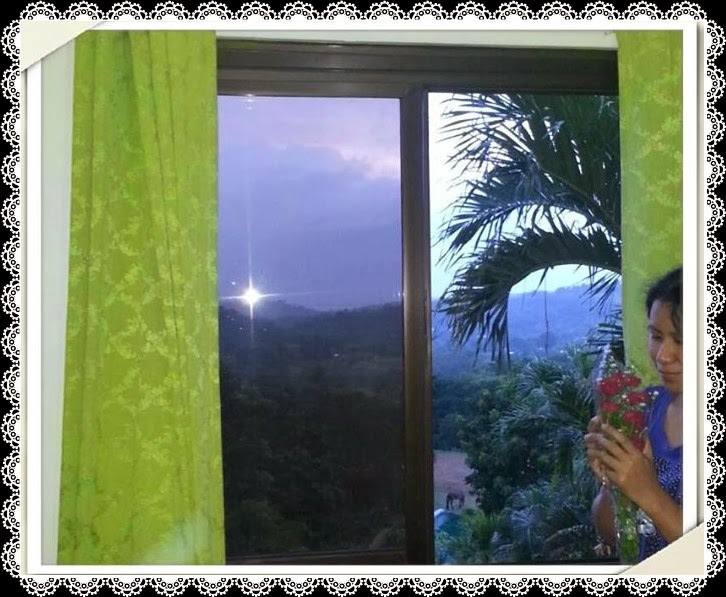 The kids, MIL and I had a blast looking at nature's gifts and simply relaxing in our rooms. Roel had the most fun I think because he got to swim all he wanted before going to sleep. 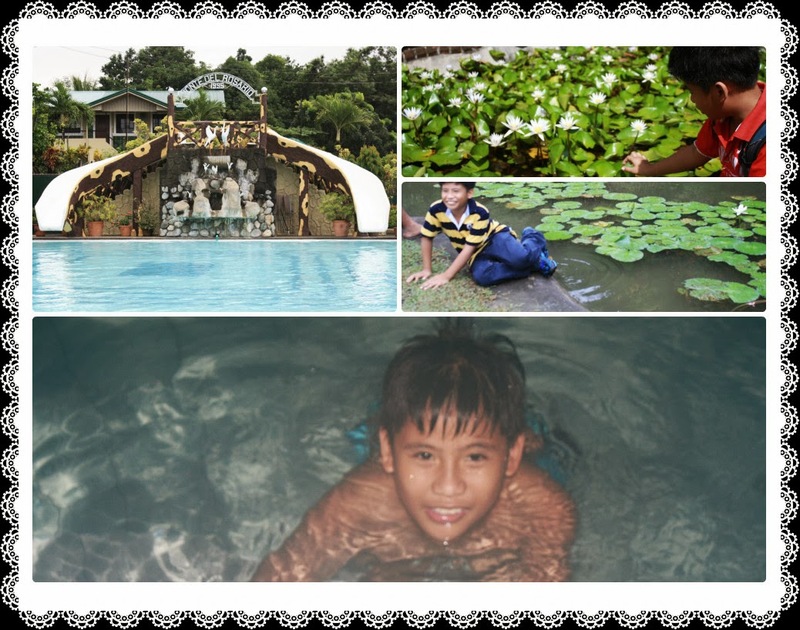 He could not get enough of the pool, and the pond that he got his shoes partially wet while trying to touch lilies! We spent Halloween teasing each other and spinning spooky tales! 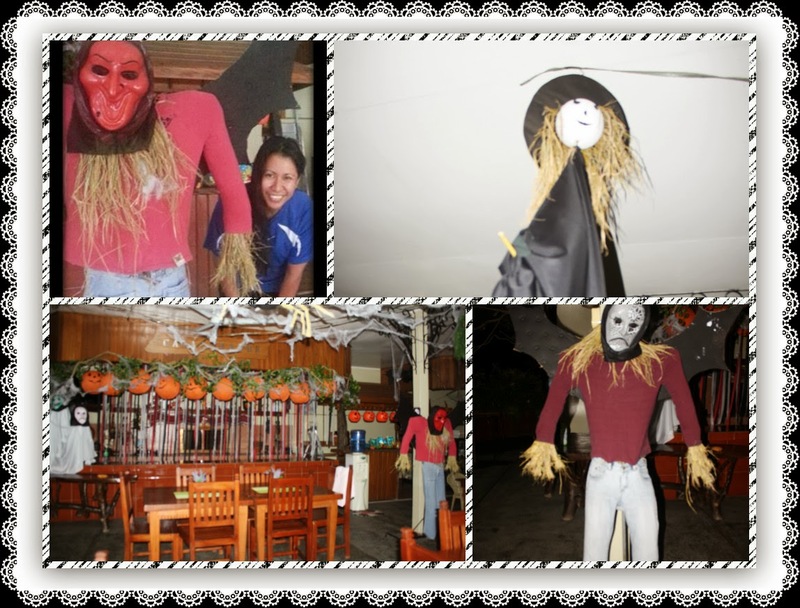 The resort's Ristorante del Capitan was well adorned with scary fun stuff which made our imaginations spin! It would be awesome to hold a party there for more members of the family next year. 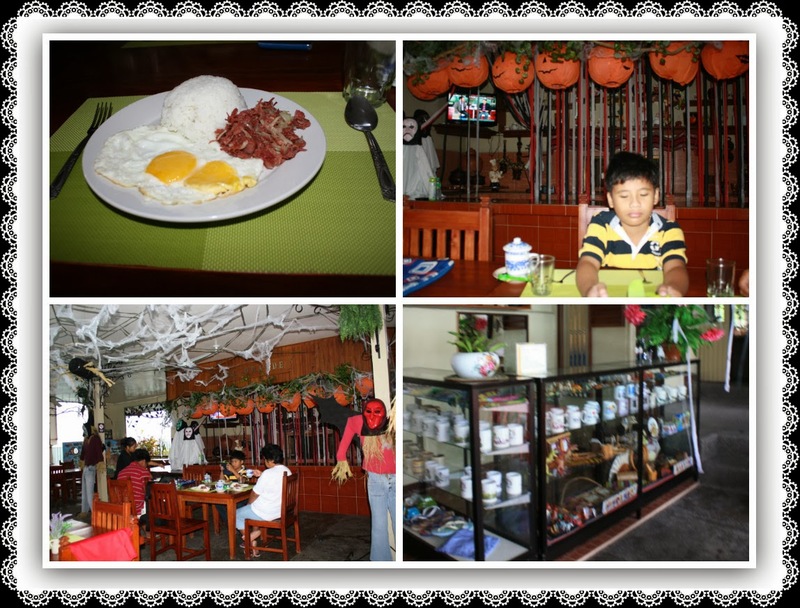 The next day, we had heavy breakfast before heading out to the plant and animal park. We prayed for the drizzle to stop because the skies were teasing to make the day gloomy. When we started the zoo and garden tour I was jittery like a kid! Our guide was friendly and the kids immensely loved the nature walk. Roel's eyes were wide and alert with glee. My eyes and camera lens feasted on greens and petals! Sigh, it was so relaxing gazing at them! ..and of course we had the grandest time taking in the scenery and posing! Oh, I must admit, it was only me who was hyped with photo-taking. I had to plead the boys to pose! It is a boy thing I think. See that kiss from my little and big boy on the far right? 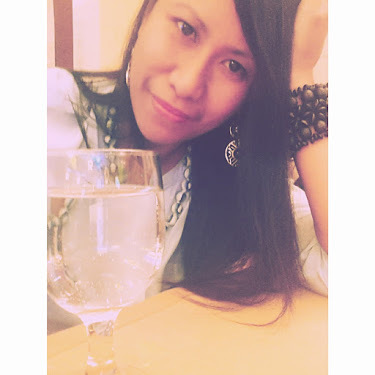 Of course that was scripted but nevertheless one of the best memories of my birthday's celebration. Mom in law took it for us. I am blessed with the best biological mom and mom in law. I think I could never ask for more. So, shall I visit Monte Del Rosario Springs again? When the hubby asks, in a heartbeat we shall pack our things and head there! Thank you for all the love you sent to me on my special day this year. I may not have had the time time to send each one of you my gratitude but know that each time you visit my page, I give you virtual hugs. 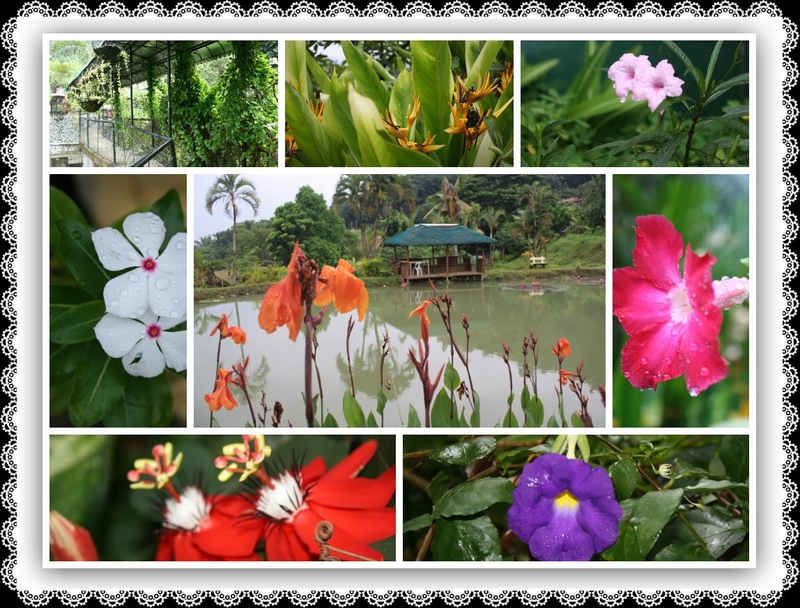 lifted from their site: Monte del Rosario Springs Mountain Resort and Youth Camp is a non-denominational, family-run Christian camp established in 1995 purposely to serve young people and adults who seek a quiet place to find spiritual reflection and inspiration. Monte del Rosario Springs started small but grew with God’s grace through the patronage and prayers of the different religious ministries who came to share its dream. Belated happy birthday, Dokie! That was one awesome birthday celebration! It always is when celebrated with the people you love the most. It must have been wonderful to have enjoyed your special day in the outdoors. Love and hugs from me to you! Happy birthday, Zen! Looked like you had a great and happy one! Beautiful photos you share here! WOW! What a fantastic birthday celebration!! You certainly do not look 38. I wish you a very blessed birthday with many more to follow! Looks like a paradise. Happy birthday, dearest, and many more years to come..Beautiful and fun family photos! A quiet place for you and family and you're blessed too for this occasion. Enjoy and savor the moment! joyful joyful celebration Zen, love love the flower collage and of course, the pic of your time with the boys speaking of happiness. i'm baaaaack and i couldn't get enough of this wonderful place. bring me there one sweet day. yabyew! Belated happy birthday! I love all the greenery and the place looks very relaxing and peaceful. To be with the nature with your loved ones on your special day? That is an absolute WOW! I bet it was a wonderful birthday! I don't get tired looking at your lovely smile and pretty face, Dokie! Nakaka-mesmerize kasi ang beauty nyo! Stay beautiful inside and out! A very happy happy birthday Zen! We almost have the same date and age. Belated Happy birthday. Great place to celebrate one. 38 ka na pala, akala ko 36 lang..
Oh want a wonderful treat, your husband is so sweet! Nice gift from the husband. It must be really surprised. You have done a great decision in choosing that place for your special day. Lots of beautiful places to walk through. The scare crow though, makes me laugh!